Mohammed Hasan Alwan (Saudi Arabia) is a novelist, born in Riyadh, Saudi Arabia in 1979. He graduated with a doctorate in International Marketing from the University of Carleton, Canada. Alwan has published five novels to date: The Ceiling of Sufficiency (2002), Sophia (2004), The Collar of Purity (2007), The Beaver (2011), and A Small Death (2016), as well as a non-fiction work, Migration: Theories and Key Factors (2014). His work has appeared in translation in Banipal magazine (Blonde Grass and Statistics, translated by Ali Azeriah), in The Guardian (Oil Field, translated by Peter Clark), and in Words Without Borders (Mukhtar translated by William M. Hutchins). In 2009-10, Alwan was chosen as one of the 39 best Arab authors under the age of 40 by the Beirut39 project and his work was published in the Beirut39 anthology. He was also a participant in the first IPAF Nadwa in 2009 and a mentor on the Nadwa in 2016. In 2013, The Beaver was shortlisted for the International Prize for Arabic Fiction and in 2015, its French edition (translated by Stéphanie Dujols) won the Prix de la Littérature Arabe awarded in Paris for the best Arabic novel translated into French for that year. 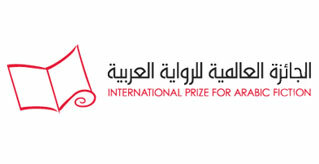 In 2017, his novel A Small Death won the International Prize for Arabic Fiction.